Provide your fourth-grade students with 10 to 15 minutes of daily math practice specifically developed to meet Common Core The frequent, focused practice improves math skills, and each title includes downloadable home-school connection activities. 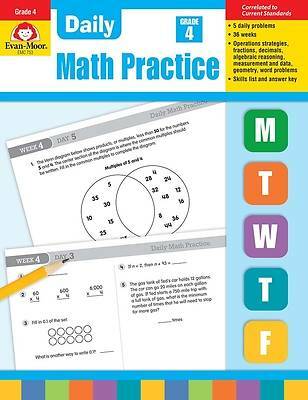 How it works: Students complete five short math problems on days 1-4. The day 5 activity provides more extensive practice and asks students to think critically.